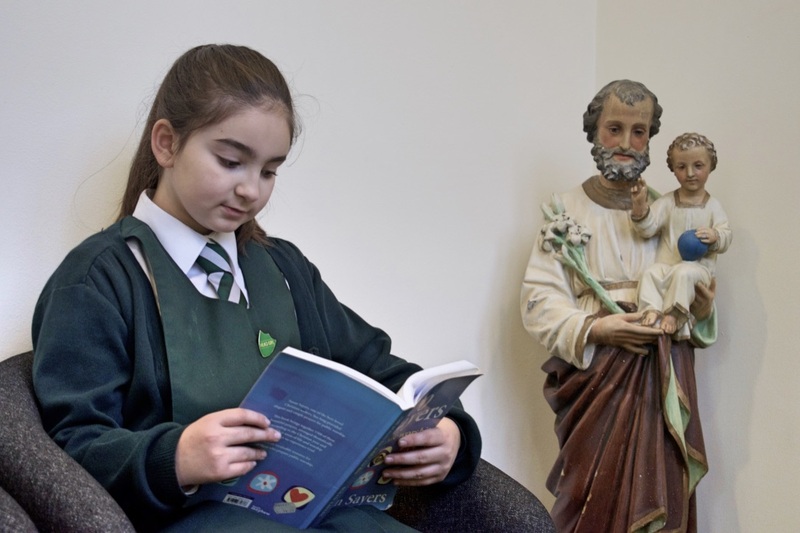 In our school, Catholic Religious Education is the “core of the core curriculum” (Pope St John Paul II) and the foundation of the education we provide for pupils. Our school community is united by its faith in Jesus whose values we both teach and live by. We encourage everyone to share, grow and flourish in faith and love. We strongly value the importance of helping our children to flourish academically but also spiritually, morally, socially and culturally, so that they are fully prepared for life in British society and for their role as citizens. By pursuing a framework of Catholic Christian Values, we provide a context and meaning for understanding why British Values are so important. We follow the example of Jesus by welcoming and including everyone into our lives and our broad and balanced Catholic Curriculum re-enforces that each and every pupil is special and unique and is created in the image of God (Gen 1:27). Our children are all equipped with the knowledge and skills to follow British Values by contributing to the Common Good and to be confident, active citizens in the wider community. Democracy is an extremely important value. Pupils always have the opportunity to have their voices heard. We actively promote the equality of rights and privileges. We ensure that all pupils are listened to by adults. Peer mediators help to resolve playground issues. Pupils vote for school council representatives who take an active role in pupil voice throughout the school. Pupils contribute to a Rights and Responsibilities Charter. We highlight the development of democracy in history lessons through our creative curriculum programme. All children are asked to contribute and provide feedback through pupil questionnaires. The importance of laws, whether they are those that govern the class, our school, or the country, is consistently reinforced throughout every day at our school. We highlight the rules of the Church and God in the RE curriculum – for example the 10 commandments. 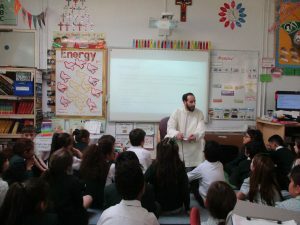 Through our broad and balanced curriculum, pupils are taught about the development of the Rule of Law in English Law (common law and democracy) and how our present legal system (created uniquely in a Catholic England inspired by Christian values) has become a major influence across the world. We learn about Parliament (how MPs and Lords are chosen) and the General Election process; receive support from our local MP; arrange visits to House of Commons. Children are taught the laws (and the powers of the police) in respect of taking legal and illegal drugs. We have a clear behaviour policy that is explained to all pupils, staff and parents. We regularly organise visits from the police service and fire service to reinforce the message of right and wrong. We encourage pupils to make independent choices knowing that they are in a safe, secure and supportive environment. As a school we educate and provide boundaries for students to make choices safely. 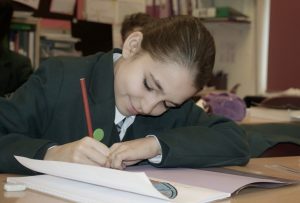 We teach pupils to see themselves as unique individuals able to make a unique contribution to the school community and beyond. Children are encouraged to know, understand and exercise their rights, responsibilities and personal freedoms and receive advice about how to exercise these safely – for example through Circle Times and our exploration of E-Safety. Pupils are always encouraged to be independent in their learning and to try their Personal Best at all times. We provide pupils opportunities to be responsible (head boy/head girl, house monitors, school councillors, peer mediators). We constantly promote respect for others and this is reiterated through our classroom and learning environments, as well as extra-curricular activities, such as sport. In line with our commitment to democracy, students are always able to voice their opinions as we foster an environment where students can debate ideas and are safe to disagree with each other. We focus on social inclusion and anti-bullying through an explicit focus on strategies to enable respect for difference. We support a vast range of charities throughout the year. Promotion of respect for others is always modelled through good manners. Reinforcing the value of everyone’s opinions in class discussions. The school has an effective anti-bullying policy. A whole school week is dedicated to anti-bullying. An annual Sports and Health Week where the values of sportsmanship and respect are actively taught. Having active educational links with other schools. We provide our students with opportunities to experience diversity within our school community and the wider community. Our Religious Studies curriculum follows the teaching of the Church in providing a broad and balanced education, which includes an understanding of and respect for people of other faiths or none and other religions, cultures and lifestyle. We host an annual International Fayre during One World Week. Pupils are introduced to other faiths and each year group learns about a different aspect of Judaism and Islam/Hindu/Sikhism. Through our RE programme, we teach religious stories where Jesus encouraged tolerance such as The Good Samaritan and The Woman at the Well.